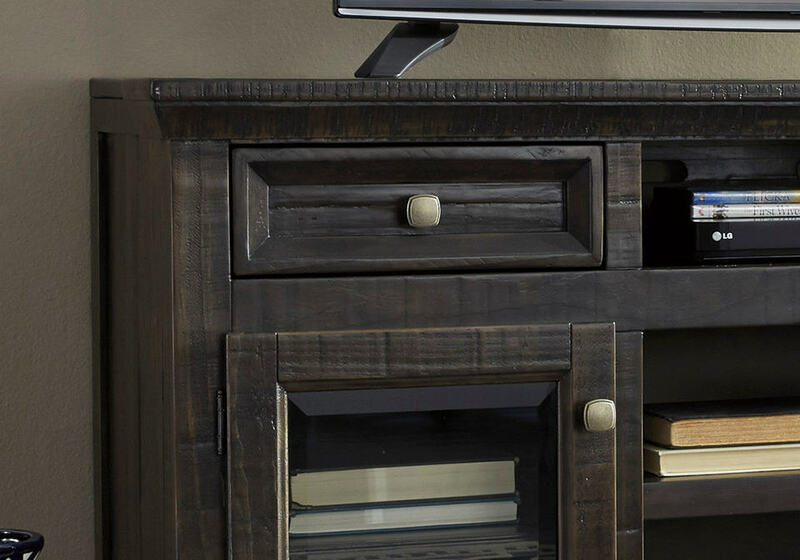 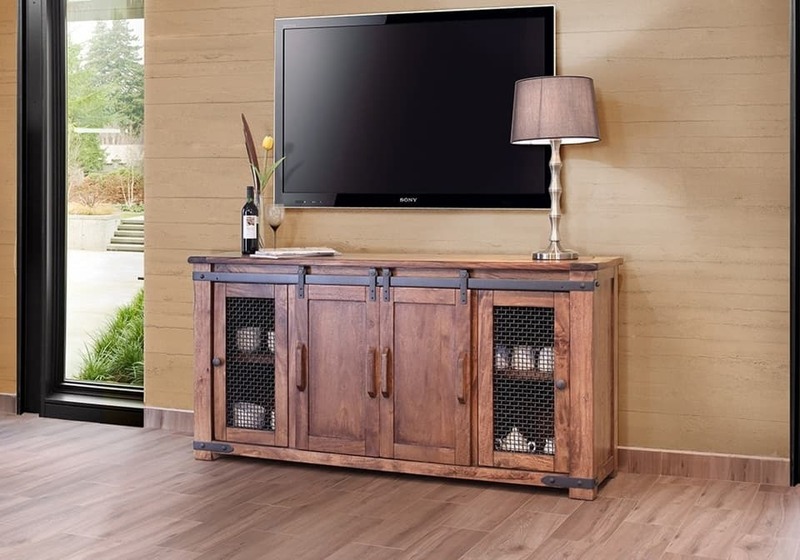 This beautifully crafted TV Console features metal, ball- bearing glides. 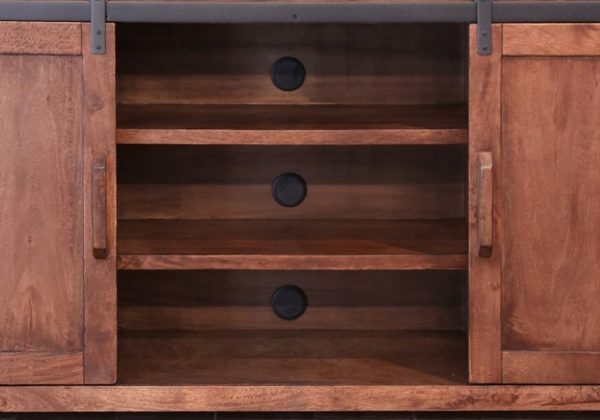 The middle door(s) slide side to side to reveal shelf storage. Shelves are removable. Functionality is definitely showcased with a back panel behind the doors that include drilled holes with plastic wire-management grommets to organize cables of electronics. The outstanding 100% solid wood Parota Collection features Parota wood native to Mexico and South America. 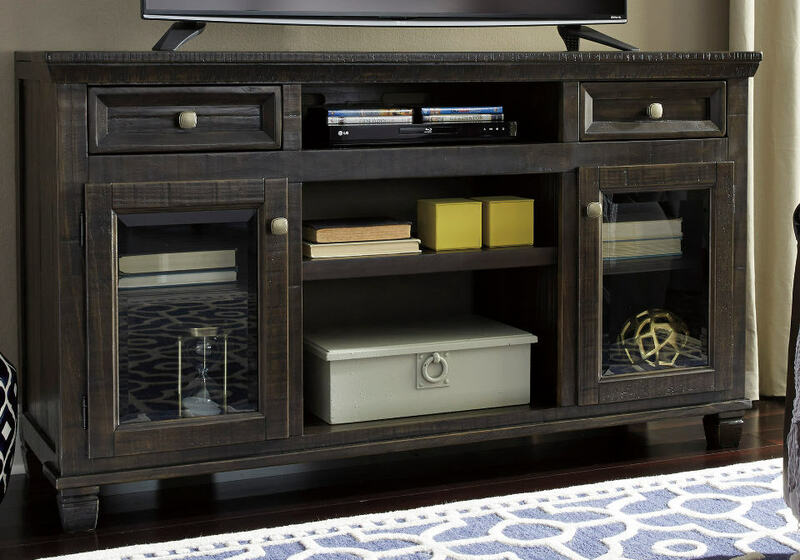 The Clear lacquer coating allows the natural two-toned character and beauty of the wood grain show through, which is also durable and easy to clean. The Parota Collection is not only stunning to the eye, the quality craftsmanship and solid wood offers a lifetime of value and beauty.